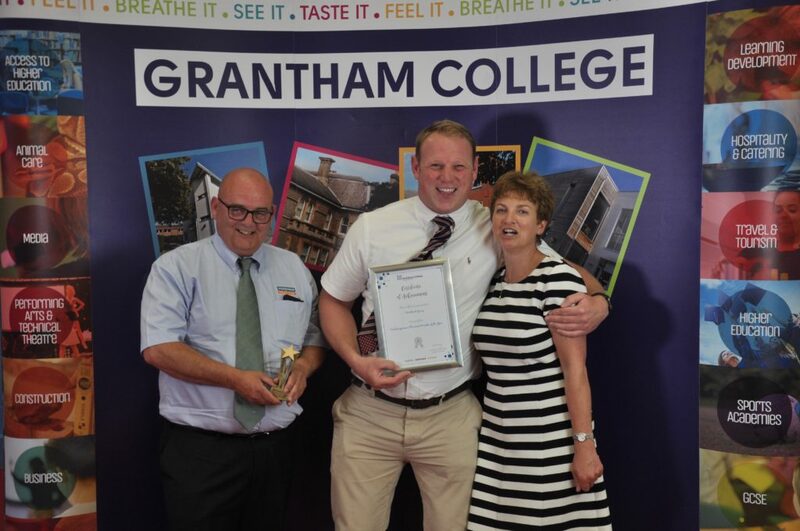 Contractor Robert Woodhead Ltd has received an award from Grantham College after providing its students with a range of high quality work placements in the construction industry. Woodhead won the ‘Work Placement Provider of the Year’ award, presented at the college’s awards ceremony held earlier this month, after providing 27 college students aged 16 to 18 with work experience opportunities over the last year. One week placements were delivered in a range of construction trades, including bricklaying, carpentry, joinery and plumbing. Matt Bust, Business Support Manager at Robert Woodhead Ltd, said: “We’ve had some really fantastic students join us for work experience. The placements have given them an opportunity to kick-start their interest in trades across the construction industry. Students learn a lot in college but being on site is different and can help young people to decide if a particular job is right for them. As part of Woodhead’s programme of work placements, the company held a number of talks at the college about working in the construction industry and conducted mock Construction Skills Certification Scheme (CSCS) tests, replicating the industry standard health and safety test. Among the 27 work placement students were two young people on Grantham College’s ‘Routes to Employment’ scheme. These are courses designed to give students with specialised learning needs, who have previously found education a challenge, a stepping stone into employment or the opportunity to progress on to vocational education in an area of their choice. All of the students worked on local Grantham construction schemes, which comprised two social housing projects delivered by Woodhead for South Kesteven District Council. One of which was a project to deliver 18 affordable homes in Trent Road and a further scheme to build four new flats at Earlesfield Lane. The two schemes are procured through the empa framework, which is managed by Scape Group, a public-sector organisation, dedicated to creating ongoing efficiency and social value via the built environment. Robert Woodhead will be continuing its close relationship with Grantham College with further work placement opportunities in the autumn. Pic caption: From L to R: Andy Evans (Robert Woodhead Limited – Site Manager), Wayne Brooks (Robert Woodhead Limited – Site Manager), Janet Cannon Deputy Principal at Grantham College.